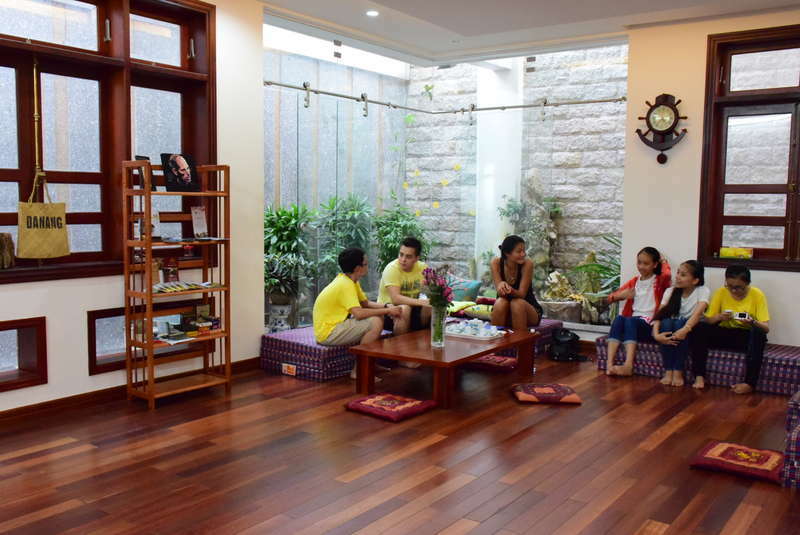 Urgent from June: Helping and teaching at a large villa in Central of Da Nang with a Children community library. LIVING IN A BIG VILLA AND HELP make us the perfect destination for volunteers. We are a very boutique skill house for children to develop a lot of skills. We also host a creative library program with us every week which is a non-profit. We have english classes in the evenings. 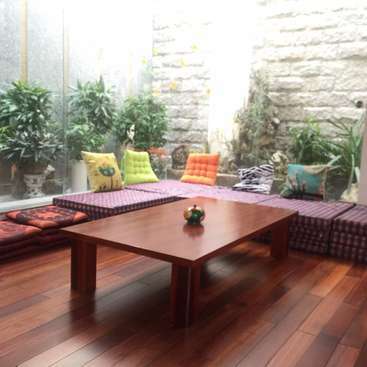 Our place is a villa with 215 m2 area with 4 floors so you can expect a villa stay experience in here. Very relaxing. My father is a doctor and my mother is a great little lady who will always welcome you with a great smile. Our place will be a very unique with large living room, plenty of green space, playroom and a bar/cafe up top. And inside we would have 2 rooms to teach English and skills for children and adults. - You will also help many Vietnamese, young or older to better their conversational English and have a great exchange of conversation and make a lot of friends. - You will improve your skill of teaching and interacting with children. - You will be giving back to society through our community library program. - Creative activities for kids, including dancing, drawing, baking, interacting in English for a summer class. - Scientific activities for kids age 4-11, instructing kids to make things in a creative way. - English teaching for kids. Please come with a fresh mind, some talents in arts and a strong love for children, you will enjoy your time here greatly. You will be offered a spacious dorm bed, with a large locker, air conditioned. We will provide you with breakfast and occasionally lunch and dinner with the family. The room is super clean with curtain and soft mattress. You have access to all view on the 4rd floor and spacious living space. - Your time is very flexible, you can volunteer 3-5 hours a day (Saturday and Sunday expected). You can also get to use our motorcycle to travel to nearby attracting in Da Nang as well as in Hoi An and Hue. (when the motobike is not rented). - We are in the central of Da nang so there are plenty of opportunity to visit the city. - We give priority to people who can commit for longer term, for people who can want to stay for more than 1 month, we can provide support with visa extension and additional living expense. John and Paige are one of our most valuable volunteers. They show professionalism, kindness and a zest for life. We are very lucky to have them with us. I would definitely recommend John and Paige to any potential host. Ashley is a very helpful and gentle person who we definitely can count on. 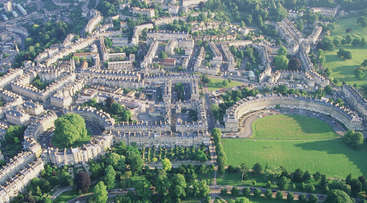 He suggest many different ideas for our hostels and engaged well with our guests. He is very helpful in attending to different lessons to the students and he is well prepared and willing to put in the effort to support the students. I trust that Ashley will be a great help… read more to anyone. I can highly recommend this Villa to anyone seeking a workaway experience in Da Nang. 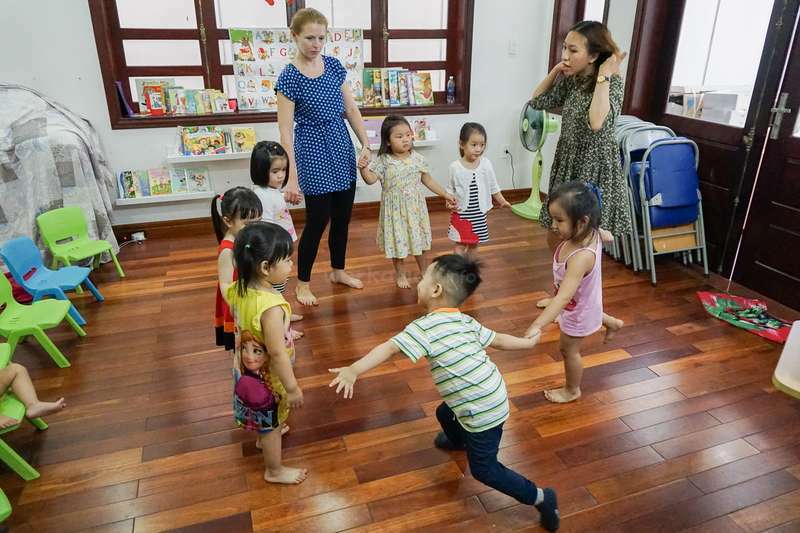 It is especially valuable to anyone looking to teach English in Vietnam, as they have a school on site and will help you ease into teaching and gain valuable work experience. The facilities are exceptional for a hostel. It was clean and modern with a massive,… read more well equipped kitchen. The owner's mother lives in the hostel and she is the loveliest lady, with delicious cooking! We were there just before Tet and the family invited us for a delicious feast of traditional food with their extended family. The work expectations were extremely reasonable and I really believe the owner of the English school is genuinely interested in the language aquisition of the student. They are really trying to use a research based approach and as my first English teaching experience I learnt a lot. It was such a great experience that we would like to do it again! We wish their hostel and school the best of luck! Ellie was very helpful and passionate and have good natural ability for teaching. We wish her all the best for her future stay in Asia. Josie is one of the best volunteer with us. She is very cheerful and kind, willing to go out of the way to support. Josie helped us with teaching wonderful classes for children and adults. She is also great at editing documents. We really enjoy her presence and would recommend her to any host. I enjoyed my time here at the hostel. Victor and his family were welcoming to me and I felt comfortable staying here as a volunteer. Mrs. Ha, Victor's mother, spoiled me with her cooking. I don't believe I was ever hungry during my time in Da Nang. Although it did get quite busy with work during Tet holiday, Victor was fair in giving me more… read more free time once the holiday slowed down. One of my duties included basic English conversation with the parents who were waiting to pick up their children from the night classes. I enjoyed this task. The parents were warm and willing to practice their English. We would often go to a nearby coffee shop to work on English vocabulary or basic everyday phrases. Thank you to Victor, Ha and the rest of their family here. I had a memorable experience. Dan is one of the best volunteer we had all the while. Dan is self initiated and willing to help even with tasks he was not given and did them with the best possible quality. Dan helped us during one of the busiest time and he is always make things so easy. Dan has helped with teaching, hostel receptionist, adult conversation, playing with… read more children and many other tasks. I am grateful for his work and would definitely recommend him to any assignment. Nicky is one of our best volunteer so far. She is extremely passionate and helpful in everything that she does. She helped us with reception work, computer work, class teaching and conversation session for adult and many more tasks. We are extremely grateful to her contribution to the team and wish her all the best. I thoroughly enjoyed my time here. The members of staff, Yumi and Nang, were so welcoming and friendly, creating a delightful ambience. Mrs Ha cooked the most delicious dinners and was so generous, she kindly took the time to prepare separate vegetarian meals for me. 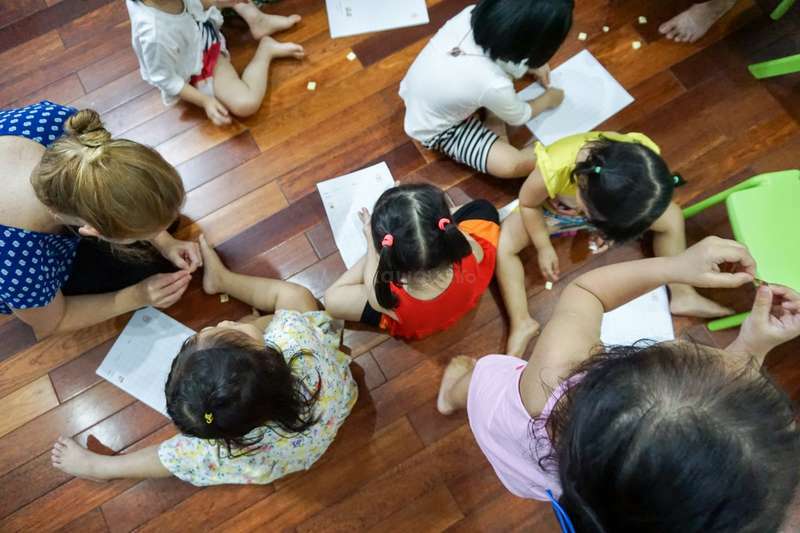 This warm atmosphere was amplified by the Tet (Lunar New Year) celebrations and… read more family gatherings, and we enjoyed bonding with the children during a skill's development course, hosted by this place. There are also plenty of opportunities to meet locals and travellers alike, as the hostel had a vibrant buzz during the time that I stayed. Thank you to Ha and Victor, for being so very accommodating. This was my first workaway and it was a great choice. I stayed in a mixed dorm with a bathroom/toilet, which was cleaned daily. The group of Vietnamese Teachers I worked with in the afternoon classes were all lovely and helpful. The owners are extremely kind and easy to talk to and the added bonus was the warm and enthusiastic Hostel girls I got… read more to know. I got sick a few days into my stay with a bad flu but the Hostel receptionist went and got me meds and soup to help in my recovery. I was totally grateful, as I was traveling alone and had not been this sick for years. I had classes of between 4 to 9 students, ranging from 4 to 6 years old. Workbooks were supplied and I was either the main teacher or supporting teacher. I had a wonderful time staying at the Villa. 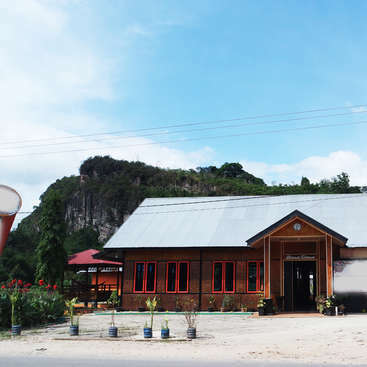 The hostel boasts a friendly and homely vibe and is very comfortable. The English courses are well structured and the staff are very supportive. Overall I would recommend this host to anyone planning to visit Da nang. Spent two weeks volunteering here. The hostel was really lovely and so were all the teaching staffs and children that you would be teaching! Volunteering hours were short and fuss-free, usually about 2-3 hours of your time in the late afternoon to evening, then leaving the rest of your day free to explore Da Nang. Highly recommended! Brenda was very professional and dynamic, she quickly interact and help our students learn English in a fun way. We really enjoy having her with us and we highly recommend her to any other assignment. Aga was super cheerful and experienced and helpful at the same time. We love her personality and help love of life. We really recommend her to any host in the future. We highly recommend Breeden to any host as teacher. She was fun and energetic. Wish her all the best for her journey in Asia. Very polite and professional. Wish you all the best for your time in Asia. Brad and Cat are highly professional and very experience with the classes. We really appreciate their commitment and the level of skills they brought to the class. We highly recommend them to any host. Melanie was very kind and gentle and she blend right in with our staff and students and really made a great contribution to us during her time here. We highly recommend her to any assignment available. The staff were so friendly and welcoming, eager to include me and make sure I had a good time. You are only asked to spend about 2 hours per day assisting in English classes. Depending on the number of teachers/volunteers at a given time, you may be asked to be an assistant or to lead the class. The staff is very flexible with you, just ask them… read more if you have special requirements or need some days off. They are happy to accommodate. They helped me to explore the city and took me out for local cuisine. I had a great time getting to know them. I think this workaway is perfect for someone who is interested to see Da Nang from the local perspective and enjoys working with kids. Thanks so much! I thourghly enjoyed my time. 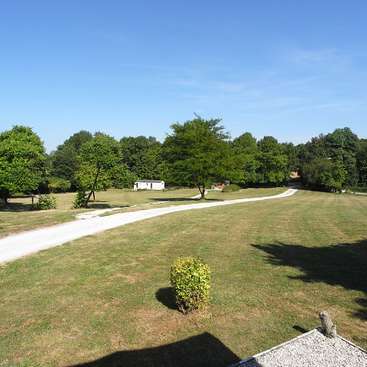 The accommodation is spacious, clean and there is plenty of space to relax and work in the social area. The lessons are well prepared, easy and fun. I really enjoyed teaching the younger kids basic English through games and songs. Victor and his family are amazing and always happy to help you out. 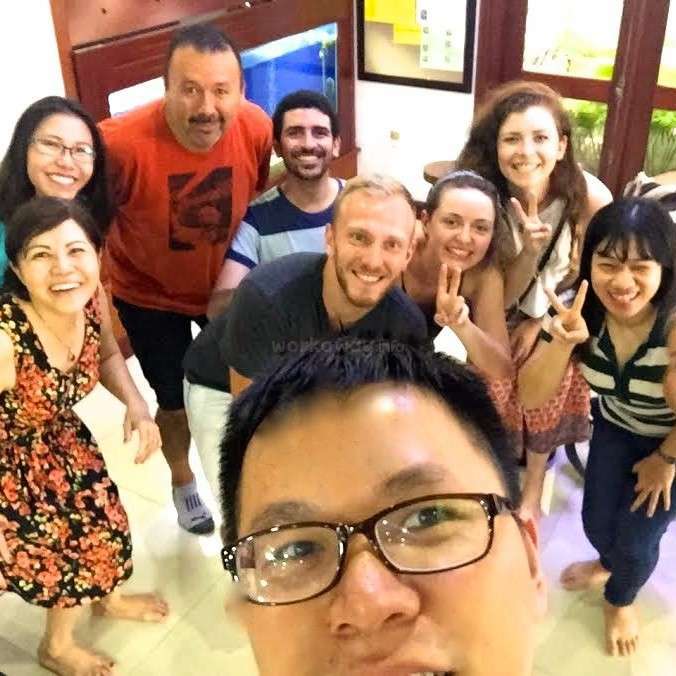 Overall it was an… read more extremely positive experience and it gave me valuable experience in teaching English in Vietnam. Thank you! I really enjoyed my time at this English school. There are several different ages classes to teach. Mostly you'll be supported by an Vietnamese teacher as well, so you don't have to run the class alone. And even if, the students are very nice and it's just fun for about two hours a day. The school is located very well in the center of da nang.… read more There are plenty of nice opportunities to eat, shop and do everything you want around. As well you'll be provided a motorcycle to get around very easily. The hai van pass, marble mountain, hoi an, and many other tourists destinations nearby as well. The villa is a very nice and clean big house with high quality dorms to stay. All in all everything you need and very kind persons around you. Thanks a lot for having me guys. Natasha is very responsive to us during our communication. We have agreed on an agreement to teach with us and that went great. She spoke perfect English and is very responsive. Due to some complication in travel plan, she could not make it to us. But she was very responsible and polite. We hope that she has a great time in Asia. Eleanor shows a lot of initiative and great teaching potential and professionalism. We glad to have her with us. Eleanor joins many of our classes for children. and did an excellent job. As my first experience of workaway, I was very lucky to have chosen this place. Lovely hostel and I had a lot of free time in the day as the classes were in the evening. There was sometimes some last minute changes and things to deal with but other than that I really enjoyed my time here. Some classes are with very young children so be prepared… read more for that! Quentin is very respectful, enthusiastic and willing to help. We wish him a great trip in Vietnam and Asia. Although Victor was fully booked for the period I stayed in Vietnam, he kindly offered to host me in one of his facilities and find some tasks for me. Unfortunately, it didn't work out this time, but I'm hoping to be able to to come later during the year! Very helpful, Sammy helped us with decorating the classroom, teaching the class which the children loves. Very experienced and helpful. I wish he have great time in Asia. We had no trouble fitting in. The villa felt just like home. The host and the people over there took great care of us and left us wishing we could stay longer. I would tell anyone who is going to danang to stop by!! Excellent teacher and worker. We really love to have our great friends around. They are dedicated, smart and can solve your problem quickly. I hope that they can stay longer. I wish them great success and great trip in Asia. Very polite and sincere. I wish them all the good luck for their future assignment. I stayed at the villa for 5 weeks, and it was an incredible experience. I taught English in the evenings and had the day to explore or relax in Danang as I wanted. The hostel has plenty of common areas and places to relax and meet other travelers, and a nice top floor with beautiful view. Danang is a great city to spend a few weeks(or months) in,… read more and the villa quickly became my home while I was there. Great staff and a wonderful family. I couldn't have asked for a better workaway experience. Great great great volunteer, very helpful and very cheerful on every situation. We glad to have meet them and we have become like family.Hope to see them in the future. Jessie is a very responsible and hands-on person. He is also very pleasant to work with. We felt grateful to have him helping us during our our busiest time. I would recommend him to any host in the future. Charlie is a very responsible and hands-on person. He can take care of his duties independently and is very quick to complete task. He is also very pleasant to work with. We felt grateful to have him helping us during our our busiest time. I would recommend Charlie to any host in the future. Work is easy and simple,I would recommend to others workawayers. Beata is a very kind and pleasant person to work with. We enjoy her present and had great time with her in our place. I would recommend Beata to anyone who would like to find a great volunteer to help out with. Nice relaxing atmosphere, good teachers, make the classes fun and interactivess, lovely staff and students :) . Had a very good experience volunteering here. Victor and his family are very kind and welcoming. 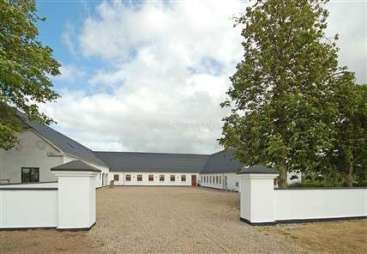 The lodgings are in a good location and are very clean and nice. The students are friendly and eager to learn so the teaching is not too difficult. Would definitely recommend to other workawayers. Excellent teacher, very kind and supportive. You leave great impact to us and we really hope you all the best in your future endeavor. Graeme are very delightful to work with and we really hope they have a great time in Vietnam. Because of unforseen circumstances we were unable to make it to the school but we would like to add how efficient and clear they were with their communication with us. We were fully informed from the start. Sorry we could not make it. Paul is very helpful with nice personalities and the enthusiasm to help. Matthew and Katie is very eager and helpful. They join our activities and being very responsible. Victor and his wife have a passion for education that is very refreshing! 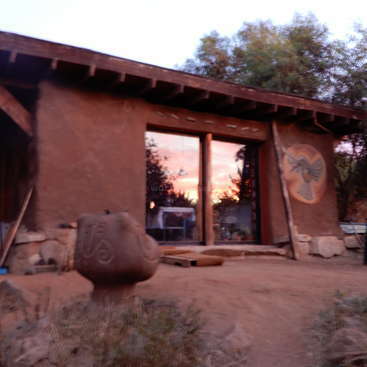 We stayed here two weeks and enjoyed helping out with the children's classes and the occasional adult class. All of the staff at the hostel are kind and welcoming. On our days off we could explore Da Nang and see the sights or hang out in the many coffee shops and bakeries… read more in the area. Thanks! Erica and Adam have been one of the best workawayer. They got on to the teaching perfectly and really make everyone feel happy. We cannot recommend this workaway enough! It was our first workaway experience, Victor, his family and staff made us feel more than welcome! We taught classes to children, teenagers and adults of all levels. Every student was very excited to learn and even invited us out for coffee to practice their English skills. The classes were very casual… read more but Victor and his staff had every lesson planned out for us before we entered the classroom. We had a lot of free time during the day to explore the beaches and downtown Da Nang. We were even able to take a moto to Hoi An for free. Thank you so much to Victor and your entire family and staff for making us feel like we were part of the family as well. We will see you again! Had an awesome time volunteering here! Very Lovely hosts. Not all the meals were included but in return for this we had so very few classes which left for a lot of free time. The girls at reception are lovely so do spend time with them when you can. Thank you! A really great set up. I didn't stay at the hostel but I could see it was of a high standard. The teaching facilities were the same with spacious rooms, good facilities and professional teachers. I really enjoyed helping out here. Leia is enthusiastic and helpful. She helped us with the classes for the children and meetings with parents. We really hope to see her in the future. Adam is very nice and enthusiastic. I wish he all the best in the future. Lorna and Robert are very enthusiastic. I hope that have a good time in Vietnam. Erin is enthusiastic person. We wish he could have stayed with us a little while more. Hope he have a best time in Vietnam. Emma is enthusiatics and helpful. We hope she had a best time in Vietnam. Stacy is really excited to help us out, but due to some travel plan change, she could not make it. We hope she has best time in Vietnam. Very helpful and supportive. Will recommend to any host. We had a great time volunteering here, his family and the whole crew are very kind people and it has been a great experience giving private and class lessons to children, teenagers and adults. My hostel is located in the centre of Da Nang so it is easy to explore all of the city and it's places around. We only can recommend this host. Very helpful and supportive. Very nice and quick in doing the tasks provided. Will really recommend them to anyone. Our experience with this hostel is just great!! The place is lovely, we met a lot of interesting people and Viktors family is very very friendly and fun to stay around. Thank you so much! Very professional. She would be a great person to work with. I taught very young children from the age of 2 years old to adults. The classes are typically 3 - 5 students. The young ones are… read more hyperactive so you do need energy for them however I was never in these classes alone - I always had at least 2 teaching assistants. There are also 1 to 1 tutoring lessons for an hour which tends to be conversational which I enjoyed as this was genuine conversation. This workaway has many resources - teachers books, childrens workbooks & flashcards so you are directed as to what your lesson will consist of. The main downfall to this workaway was they provide breakfast only - not lunch or dinner (as stated in the description). However they did invite me to join them for lunch on the odd occasion which was a pleasant surprise. We had a wonderful time volunteering here! The hostel is one of the nicest we've ever stayed in. There are four floors with a comfortable lounge area, a foosball table, a rooftop with a view of the city and where you can do laundry. The dorm beds are comfortable and the rooms have AC and the whole place is cleaned daily. Breakfast is provided and… read more they have several options to choose from. Several times we were invited to join family lunch and dinner as well. The receptionists are extremely sweet and helpful. You can ask them what to do or where to eat around Da Nang. Or just chat with them since part of the reason they work here is to improve their English. There are many sites to see around Da Nang. Marble Mountains, Sun Tra Mountain, Hoi An, and very nice beaches. You also get access to the bicycles or motorbikes when they aren't being rented. Between the two of us, we taught an intermediate teenage class, a beginner class of 6 year olds learning the alphabet and phonics, an adult beginner class working on conversational skills, and some private one-on-one classes for people with various skill levels. It was usually 1.5-3 hours per night, 5 days a week. The classes aren't until the evening, so you have the whole day to explore. The work was very rewarding. Many of our students had never practiced with a native English speaker and they were very excited and thankful for the opportunity. Some of them even invited us out for coffee or dinner. One student took us to her music shop to demo her instruments. We would definitly recommend this work away to anyone looking to volunteer in Da Nang! I had a wonderful 2 weeks volunteering here. The hostel itself is very nice and some of the best accommodations I've had in Vietnam! The place is cleaned daily, and the dorm rooms are comfortable. Each bed has its own curtain and outlets. There are nice common areas as well. You receive three delicious meals a day. All of the staff are superb, and… read more I highly suggest getting to know them. The girls who work as receptionists are some of the cutest and silliest I've met! In terms of volunteering don't be afraid to ask questions if you are a little lost of confused. Ask for a schedule for the week if you need one, and ask for help locating any of the lesson planning books. They have begun to get very organized in terms of what they want taught in each class, and are really starting to focus on phonics. I taught one class a night for about an hour and half-2 hours. The classes are quite small and the students are lovely. The young ones are a little wild but so cute! Here and there I was given some random assignments like translating documents or finding videos online. Overall you have plenty of free time to explore Danang and make small trips to surrounding areas (Hoi An, Hue, Marble Mountain, Ba Na Hills, etc). Would definitely recommend this workaway! Liana is extremely sociable to everyone in our place. She is also a very hard worker with a strong work ethics and finish all the task in perfect manner. Will recommend her 100%. William is extreme sociable, with a respectful and cheerful manner, which make working with his a great experience. He is extremely talented and good at what he does which is making films , doing videos. He also have a great rapport with people and can teach in class effectively. Can't have better words to thanks Donna for her support. Really professional and knowledgeable, one of the best teacher we have ever had. Extremely helpful, he took our work as his own. Even think of things that we don't even think of. He will be the best volunteer you have ever had. Extremely helpful and professional. They really made the difference during their stay with us. Very helpful and supportive. He show true professionalism and work well with everyone in our place.